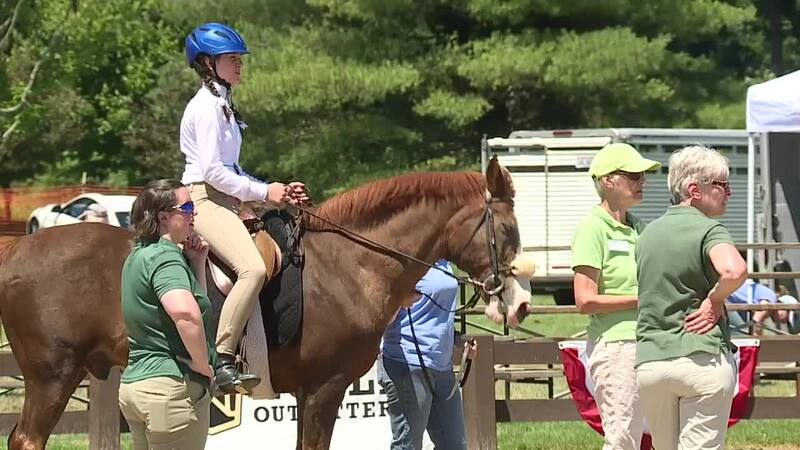 More than 30 riders with special needs competed in the Riders with Disabilities Horse Show at the annual Hunter Jumper Classic at the South Chagrin Metroparks Polo Field Monday. Students of all ages with a variety of disabilities and challenges rode horses and drove carriages in front of family, friends and community members, according to a news release from Fieldstone Farm. “The courage, determination and joy displayed by each rider inspires everyone in attendance,” the release states. Fieldstone Farm is a nationally-recognized therapeutic riding center that organizes the Disabilities Show every year. It serves more than 1,300 people with special needs each year.